THE OSTOFORMTM SEAL WITH FLOWASSISTTM PROTECTION. It is well understood that one of the main reasons for damaged peristomal skin is poor flow of stoma output.This results in the stoma output contacting the abdomen and causing irritation, redness and discomfort. Our aim at OstoformTM is to develop solutions to this enduring problem. It is well understood that one of the main reasons for damaged peristomal skin is poor flow of stoma output. This results in the stoma output contacting the abdomen and causing irritation, redness and discomfort. Our aim at OstoformTM is to develop solutions to this enduring problem. 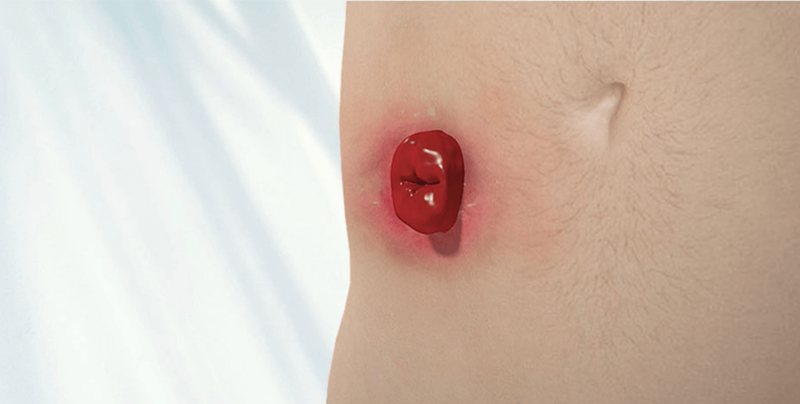 The stoma output can spill and overflow onto the skin causing damage and irritation. 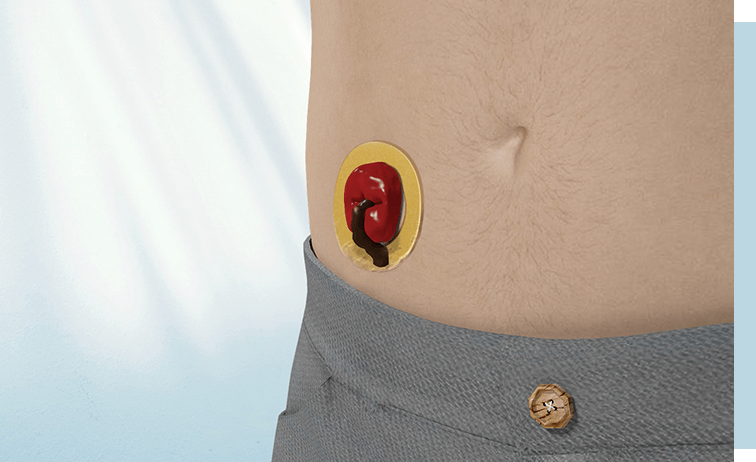 The OstoformTM Seal ensures that the output flows away from the skin and into the bag. 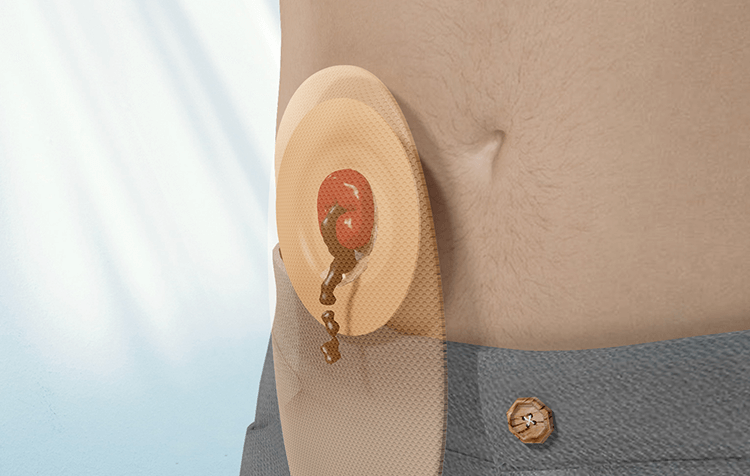 The stoma output can spill and overflow directly onto the skin causing damage and irritation. 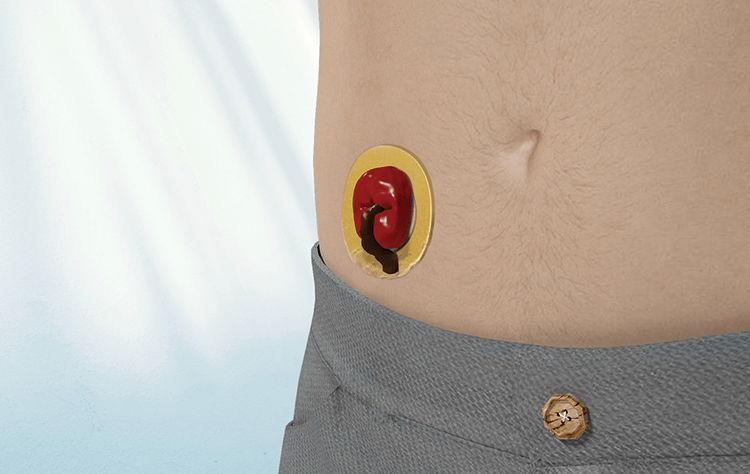 The OstoformTM Seal has been designed to provide double protection through the innovative use of a flexible, non-absorbent FLOWASSISTTM attachment and the moisture management capabilities of skin-friendly hydrocolloid. Because the non-absorbent material is not sticky, it is much easier to handle and position the seal. 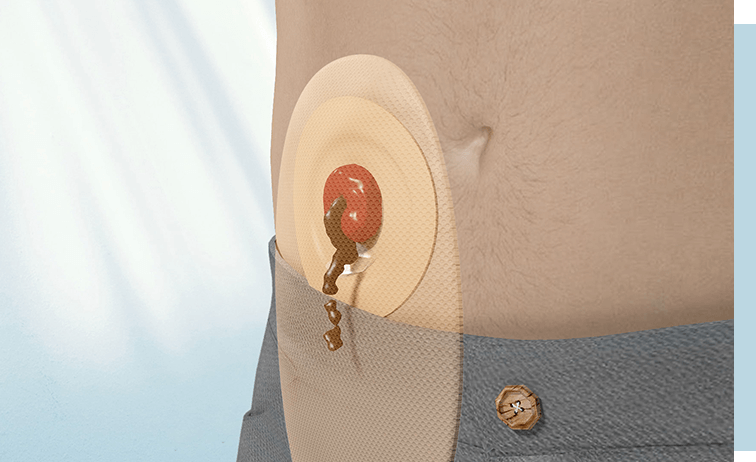 The split design of the hydrocolloid means the OstoformTM Seal can be easily moulded to conform to the unique size and shape of each stoma.